AdBasis has developed a controlled testing environment and analytics tool for brands and Search Engine Marketing (SEM) professionals. AdBasis enables smarter, better SEO rankings through AdWords optimization, keyword testing and a variety of other SEO tools. 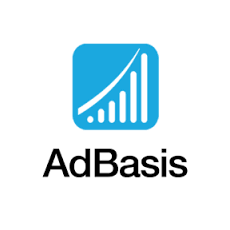 AdBasis Display & Remarketing is an optimization tool for image-based ads, enabling marketers to understand the relative impact of individual design elements. Test ad design performance for key demographics, interest groups, buying scenarios, campaigns, and ad groups. Mobile App Install tests to detect elements within mobile app ads that drive new downloads, fueling insights for crafting better, more engaging mobile app ad campaigns. AdBasis Search is an ad copy testing tool. Marketers can easily set up any “purchasing scenario” and test for SEO by keyword groups, demographics, product line or promotion. The Search platform makes it easy to create, tag and track search funnel metadata in order to optimize for ranking and ROI.